Creative Masonry & Chimney is the ultimate choice for those looking for the most efficient chimney cleaning, sweeping and repair in New Hartford, Connecticut. We are one of the leading chimney repair and maintenance service provider. Our years of craftsmanship experience and a team of professionals specifically trained for particular jobs are the reason we have been capable of maintaining a 5-star rating from our clients. If you hire Creative Masonry & Chimney for cleaning, sweeping, and repair in New Hartford, Connecticut, we always make sure to send the right person for the right job. 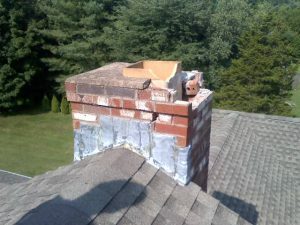 When it comes to chimney repair and sweep services in New Hartford, Connecticut, Creative Masonry & Chimney offers a complete range of chimney repair and maintenance services including chimney repointing, relining, cleaning and sweeping along with repairing chimney liners, caps and water leaks. We make sure to use high-quality material and state of the art tools for the optimal outcome. Chimney Rebuilding: We offer expert masonry services in New Hartford, Connecticut for the effective rebuilding of your chimney with the best quality material. Chimney Repointing: Chimney repointing is also an important part of chimney maintenance. We offer especially skilled professional to replace worn and crumbling mortar joints of your chimney. Chimney Caps Installation: We offer chimney caps installation to prevent rainwater, snow, bugs, and debris to get into the chimney and prevent flames and fire sparks from escaping. Our chimney cleaning services in New Hartford, Connecticut always make sure to keep your chimney clear of hazardous and flammable creosote that deposits around your chimney every time you burn a fire in your fireplace. Our chimney cleaning services in New Hartford, Connecticut also make sure to keep your chimney free from any blockages. A blockage in chimney may not only interfere with the efficient performance of your fireplace but can result in carbon monoxide backing up in your house. 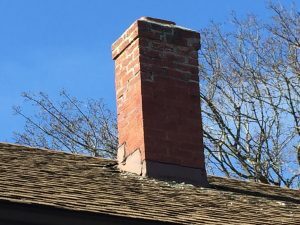 Chimney Inspection: Chimney cleaning services in New Hartford, Connecticut by Creative Masonry & Chimney includes a thorough chimney inspection to identify any hazards, deficiencies, or vulnerabilities in your chimney structure. Stove cleaning: Our chimney cleaning services in New Hartford, Connecticut includes a thorough stove cleaning. Boiler and Furnace Cleaning: Our experts are skilled in providing boiler and furnace cleaning. Creative Masonry & Chimney is the most trusted chimney contractor in New Hartford, Connecticut with a 5-star rating. We have highly trained experts for every service and we never send an unskilled technician for a job. We have respective technicians for chimney repair and cleaning. Creative Masonry & Chimney are the OSHA certified and licensed, properly insured and offer highly trained experts. 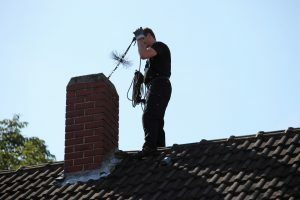 We carry proper workers compensations, general liability insurance, and umbrella policies and our clients enjoy a 100% stress-free chimney cleaning and repair services in New Hartford, Connecticut.